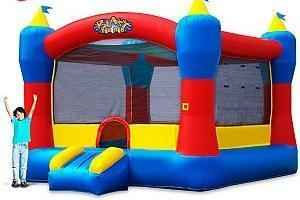 This Magic Castle is Perfect Birthday Bouncer for your little Hero, at an unbeatable price! 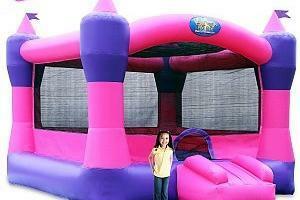 This Commercial Grade bouncer is a popular selection for birthday parties, church events, rec. centers and more. 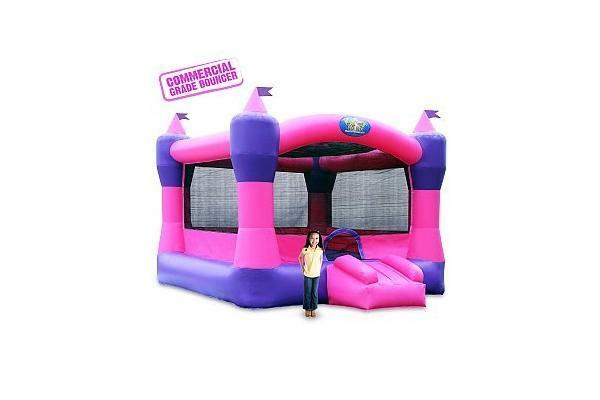 This Princess Castle is a Perfect Birthday Bouncer for all the little Princesses in the world, at an unbeatable value! 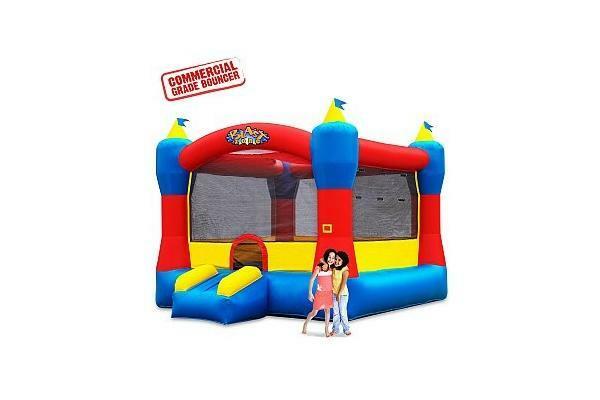 This Comercial Grade Bouncer is a most popular size for birthday parties, church events, rec. Each renter will be given clear verbal and written instructions upon delivery. 2. While the unit is in operation, the adult supervisor must watch the users at all times. User should not climb on the nets or outside of inflatable. Rough play, flips or any dangerous activity is not tolerated by Beautiful Bouncers. 3. The unit must not be operated if winds exceed 20 mph or during any type of rain or snow storms. 4.Each Inflatable has a recommended age & weight limit. Your delivery person will advise you of this. Beautiful Bouncers has invested in the safest, most durable, and highest quality units available on the marketplace today. All our Inflatable's meet and exceed all standards for ASTM (American Standards for Testing and Materials) and are certified Flame Resistant / Flame Retardant / Non-Flammable by the NFPA (National Fire Protection Association). Our units have been especially designed for childrens safety. All four sides of our units are enclosed therefore ensuring children dont accidentally fly out of them. Also the units have an exclusive safety feature which keeps bounces inflated up to 60 seconds in the event of a power failure. Much care and thought has been compiled in order to guarantee the best of fun for our children while maintaining maximum safety. Beautiful Bouncers is family owned and operated and we understand how important our children are to us. We are proud of our attention to detail and quality fun that we can bring to your family. Thank you for choosing Beautiful Bouncers.  Check to see if the on/off switch on the blower has been turned off or the blower has become unplugged. If so, plug them back in and the ride will immediately re-inflate.  Contact or have someone contact Beautiful Bouncers at 803-960-3784 to check the problem.  If you panic your users may also panic, so stay CALM. Help the users exit the unit in an orderly fashion.  If the unit becomes punctured or begins to lose air, assist all users from the unit and deflate it.